Most people, after a long, successful career, choose to turn things down a notch. Even though retirement doesn’t look like it used to, if people keep working, they’ll choose not to work as much; or they’ll focus on more leisure activities like golf or traveling. Doug Benoliel and Tamara Buchanan are not like most people. You will never, ever see them golf. And, most of the traveling you’ll see them do is on the paths between their barn and rows of vegetables on The Sweetbriar Farm – the 20-acre farm they started on Lopez’s Center Road in 2010. “Do you know how old you are?” Tamara remembers people jokingly asking her and Doug when they started the farm. Both of them are well aware of how old they are (I didn’t ask); they admit that some things on the farm are more difficult than they used to be. But age is a state of mind – especially when you’re doing something you love that benefits so many others. The Sweetbriar Farm, named after The Sweetbriar horticultural nursery that Doug and Tamara ran for more than 25 years in Kirkland and Fall City before moving to Lopez, is best known for its Sweet Greens Club – a year-round, modified CSA program for the island. Unlike most CSAs, where growers and consumers share the risks of food production, the Sweet Greens Club allows people to sign up for different membership levels – taking as much food as they need, and only when they want it. Because some Lopezians spend a lot of time off-island, a regular delivery of the same amount of vegetables isn’t very convenient, and food can tend to go to waste. Sweetbriar’s Sweet Greens program addresses that problem. “It’s like a debit card for vegetables,” Tamara explained to me as I sat down at their farm house table recently to hear about The Sweetbriar Farm. In addition to the free recipes that Sweet Greens members get with their vegetable delivery, the other great thing about the program is that customers’ accounts are transferable among other people, so you can share the wealth with a neighbor or friend. And sharing the wealth is what Doug and Tamara are all about. The Sweetbriar Farm is not a for-profit enterprise. 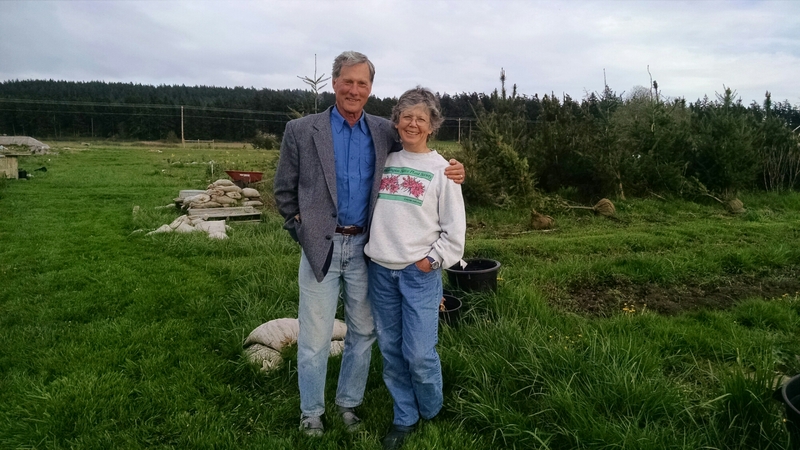 Approximately one-third of what Doug and Tamara produce on their farm is given away to people who need food on Lopez Island. Some of it goes to The Hamlet in Lopez Village, while a lot goes to supply the LIFRC’s Lopez Fresh program. Yes, Doug and Tamara share the wealth. They’re also willing to share the work. At any given time, 1-2 interns and a team of ten volunteers from around the island helps with the long list of chores associated with running a farm. As with everything else they do, Doug and Tamara look for ways to maximize the impact of that opportunity. Doug says, “We try to make farming as un-scary for people as possible.” Besides the chance to get their hands dirty, volunteers learn quite a bit about how to grow things. They also are able to take home some of the harvest. The diverse group of Sweetbriar volunteers even gets together regularly outside of work hours – to share meals and recipes. As if running a full-time farm weren’t enough, Doug and Tamara find other ways to stay off the golf course. Doug is an expert forager with a degree in botany, who is an instructor at the National Outdoor Leadership School and spends as much time as he can looking for tasty, wild food around the region. 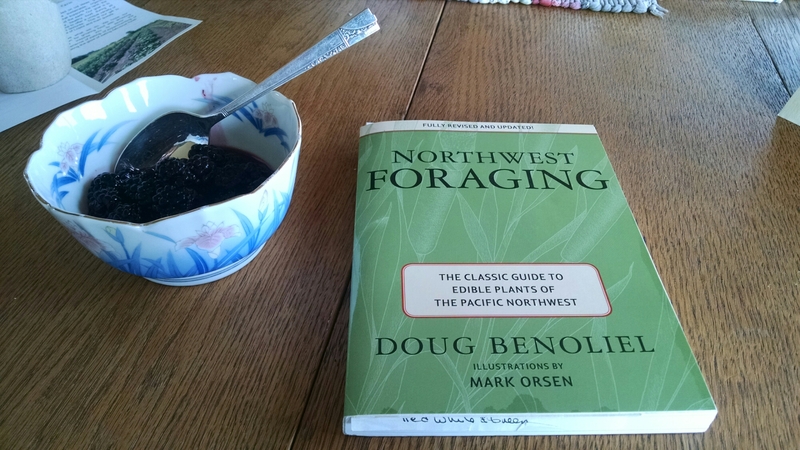 In 1974 he published Northwest Foraging: The Classic Guide to Edible Plants of the Pacific Northwest, which he’s recently updated – complete with new illustrations from the same guy who illustrated the book more than 40 years ago, Mark Orsen. While we were talking at the farm house table, Doug surprised me with a bowl of the most delicious blackberries I’ve ever tasted. When she’s not working the fields, you can find Tamara working a huge slab of stone. 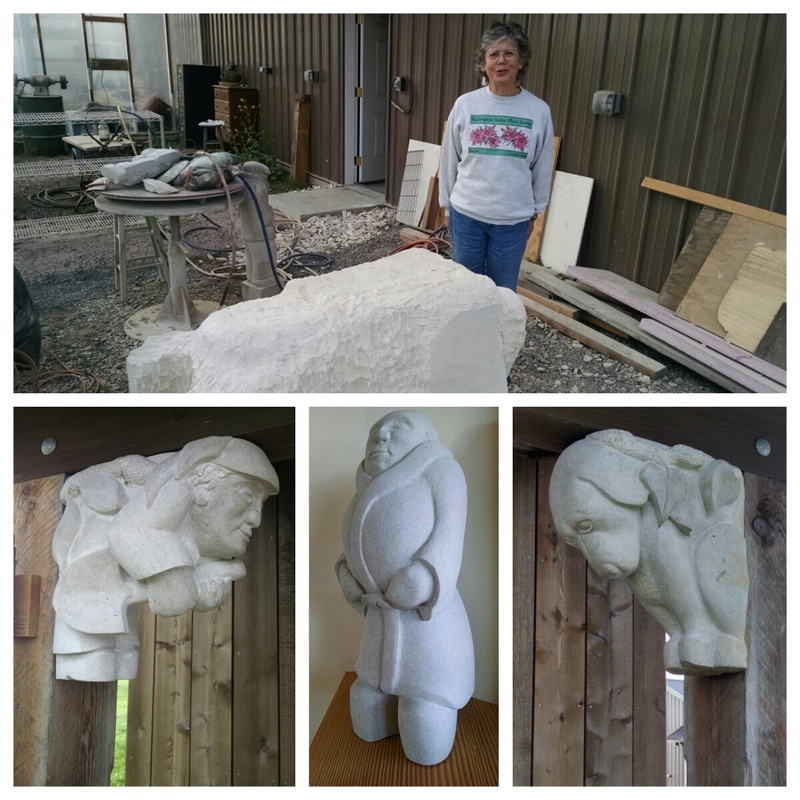 She’s been a stone carver – creating beautiful works of art from sandstone, limestone or basalt – for more than 30 years. Many of her pieces – from decorative to structural – adorn the farm house. Tamara’s work is stunning, and she finds many ways to share that wealth, including stone carving classes on Lopez as well as the Pratt Fine Arts Center in Seattle. Besides The Sweetbriar Farm, there are two places you can find Tamara’s art on Lopez. One is at the entrance to the Lopez Island Family Resource Center; the other is inside the Lopez Center for Community and the Arts. 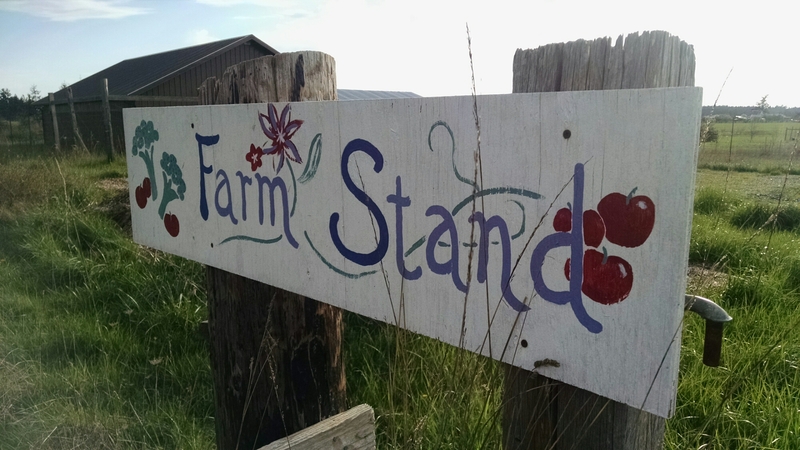 Similar to other Lopez farms, a big focus at The Sweetbriar Farm is sustainability. The roof of the barn is made up of solar panels, helping the farm be net-zero from an energy use perspective. 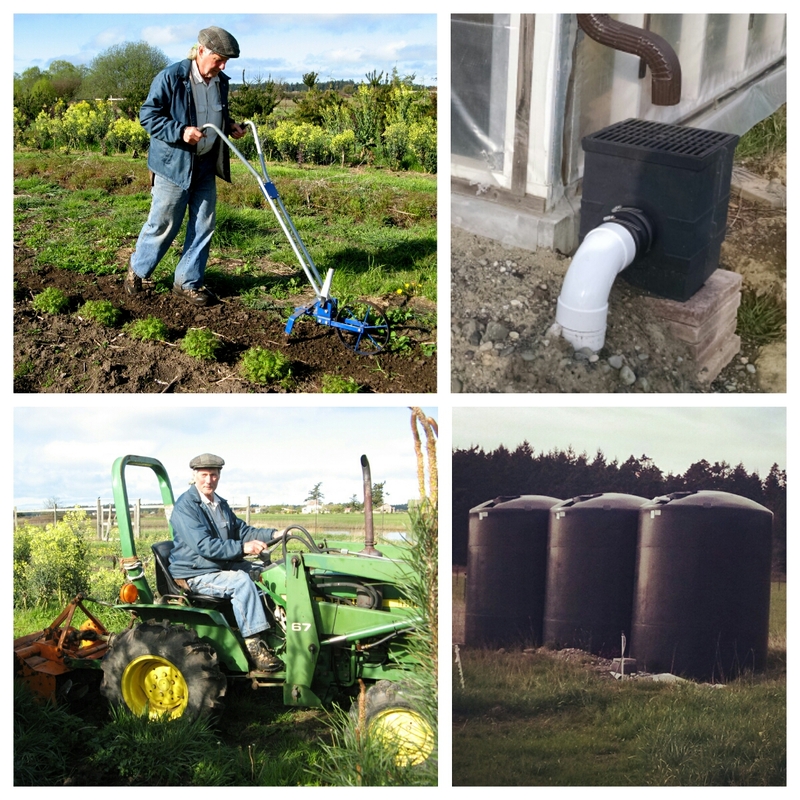 A network of gutters, pipes and tanks make up the rain catchment system, which provides way more water than Doug and Tamara need throughout the year. Annually, Sweetbriar collects more than 70,000 gallons of water that runs off of the roofs of the farm’s buildings. As a couple, Doug and Tamara only consume about 1500 gallons a month. Beyond smart use of natural resources, the farm is maintained with a lot of the same machinery used for the Sweetbriar nursery years ago. One implement that gets a lot of use on the farm is the wheel hoe, which requires no fossil fuels and can be used to weed vegetable rows and cultivate. The wheel hoe was a popular tool used by small farmers until the 1940s, and it remains popular on The Sweetbriar Farm today. What brought Doug and Tamara to Lopez? After a drive-by shooting near their home in Kirkland, they decided enough was enough; so they started looking for safer, friendlier and more diverse places to call home. Their list of choices ranged from Bend, Oregon to Molokai, Hawaii. Like so many others, they ultimately decided to move to Lopez because of the community. Lopez is lucky to have them. Looking to get more involved in the community and share the wealth yourself? I suggest you pay a visit to Sweetbriar Farm. While you’re there, check out their farm stand, sign up for the Sweet Greens club (email them at thesweetbriarfarm@gmail.com), and ask how you can get involved. All ages welcome. Interesting article. Lopez will benefit greatly. What a nice story. Thank you for sharing the wealth, abundance, generosity and story! Truly inspiring.